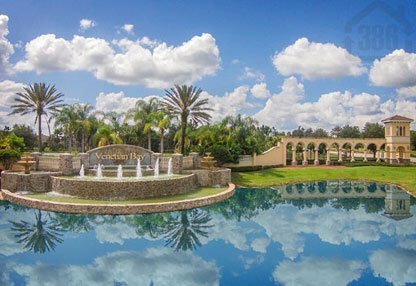 The Venetian Bay Country Club will impress you! The clubhouse features an open social, eating and bar area with lots of detailed wood enhancements and plasma televisions. There is a generous bar, great views of the golf course, and plenty of televisions to catch sports highlights and the news. Paytas Homes, Johnson Group Homes, and DR Horton are building homes in this large neighborhood. Previous builders included Engle Homes & KB Homes. Would you like to take adantage of all the amenities in Venetian Bay and not worry about the daily maintenance of your home? This large community offers Tuscany Square Condominums and Parkside Townhomes for the buyer that prefers convenience and very little maintenance. It's the perfect situation for vacation and second homeowners. Come to town, play golf, relax at the pool next to the bar, and really enjoy yourself. The maintenance and exterior care will be taken care of by the association and it's contractors. Kevin Kling has sold many homes in Venetian Bay and he is very familiar with the builders. Give him a call. He can answer any questions you have about this impressive community in New Smyrna Beach, Florida. Contact ph. 386-527-8577.